Last spring, Jack,* along with his brother was placed in a Childhelp foster home. Jack came from a very chaotic and violent home setting, and brought a lot of past trauma and hurt, especially for someone so young; he was only seven years old. Jack showed his pain through his actions and behaviors. We could see it all over his face and how he carried himself. He could not make eye contact when speaking to others and would talk very quietly or not at all. He also had trouble in school controlling his emotions. Jack would yell, kick, hit, and throw objects in the classroom, often being physically restrained by school staff members. On several occasions, Jack’s behavior led to his peers being asked to leave the classroom during these incidents. Shortly after being placed with Childhelp, Jack and his brother moved to a kinship Childhelp foster home for about seven months. It was during this time that Jack began to heal. Being banned from his school’s summer program due to his behavioral issues and after exhausting all other options, it was decided that Jack would come to the Childhelp office every day during the summer. We weren’t giving up on Jack and little did we know that a one-on-one environment was exactly what he needed. Each day, we could slowly see the walls coming down. 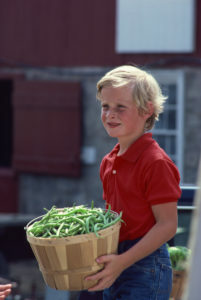 Whether it was Jack learning how to drive a 4-wheeler with a staff member, building an obstacle course in the gym, or helping his case manager pick green beans from the garden, you could see him begin to soften. His true kind self began to show through, allowing him to be a kid again. In the first few months after Jack was placed, you almost never saw this little boy smile. But by the end of the summer, Jack was belly laughing almost every day. He began to use eye contact with adults, and we discovered that Jack has an amazing sense of humor and a very creative mind. Today, Jack and his brother are thriving in their pre-adoptive home. Jack won two awards this past semester for his excellent behavior in school, one of which is awarded to only one student a year. Jack’s story is one that demonstrates the Childhelp commitment to investing in the children we serve and doing whatever it takes to help each child reach their full potential in life.